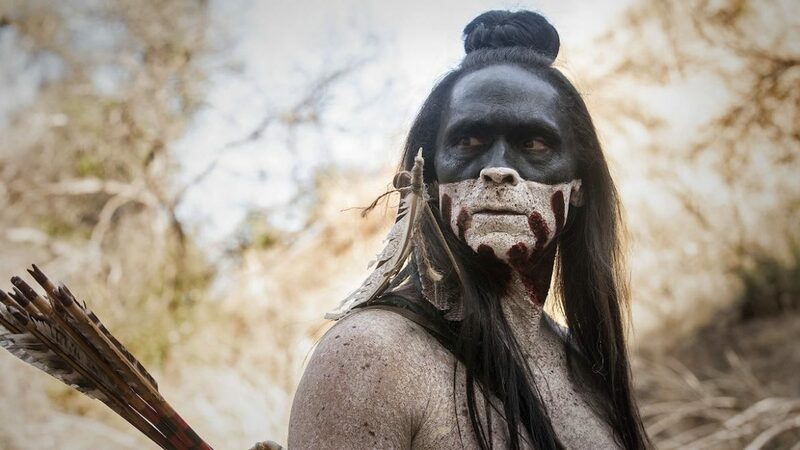 Akecheta (Zahn McClarnon) got an unexpected showcase in “Kitsuya”, as Westworld shrugged off common practice and focused on a single story and subplot, rather than jump about between a half-dozen. 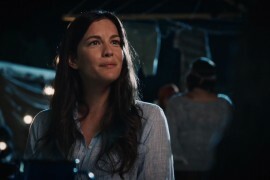 This made for a welcome change of pace and keener focus, allowing us to bask in one enlightening narrative. And if, like me, you sometimes wish this series was more concerned about characterisation and emotion, rather than mysteries and action, “Kitsuya” was the most engaging episode of season 2 so far. Ironically, it made you care about what was happening on a “human” level. I heard a new voice inside my head…—Akecheta. 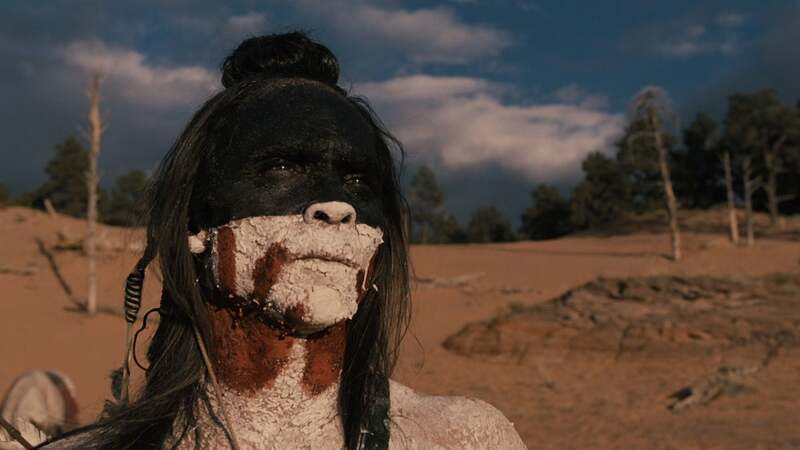 In the present day, Akecheta in his terrifying Ghost Nation makeup discovers the SaMan in Black (Ed Harris) crawling towards a stream, close to death because of the gunshot wounds he sustained during his encounter with Maeve (Thandie Newton). In what we’ll come to see is a role-reversal of a situation that befell Akecheta, who was in similar need of help after sustaining life threatening injuries, the proud tribesman takes the MIB back to his people. And it’s there he notices that another of his captives, Maeve’s daughter (Jasymyn Rae), is fearful of the MIB and, like Akecheta, appears to remember him from “another life”. The majority of “Kitsuya” (which is a Lakota word for “remember”) is an extensive flashback, driven by Akecheta recalling his long life (or lives) to Maeve’s daughter, in an effort to broaden her understanding of him and the world they inhabit. 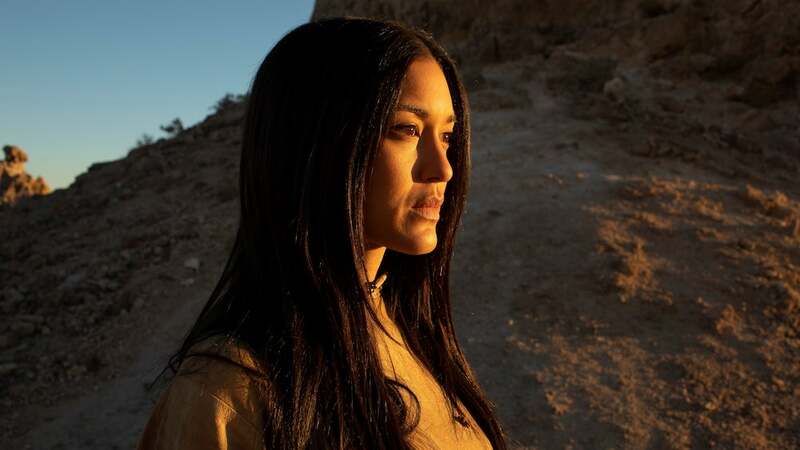 This took us back to the early days of the Delos parks, when Akecheta was in a different narrative, playing the role of a peaceful tribesman in love with his partner Kohana (Julia Jones), who witnessed Wyatt’s massacre of hosts at Arnold’s command, before noticing the same maze symbol he’s long been obsessed with. It’s unclear how Akecheta first came to know of the symbol, but one assumes from later dialogue from Robert Ford that Arnold planted the image in his head. And seeing the maze is the catalyst for a years-long existential journey of discovery, as Akecheta begins an “awakening” towards sentience. 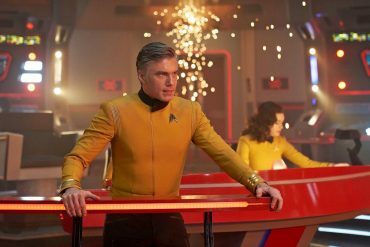 This makes him a far more important “alpha host” than we ever expected, essentially getting an early lead on other self-aware hosts like Dolores and Maeve. After Akecheta is reprogrammed to be a warrior, leading the ferocious Ghost Nation tribe into battle, he retains his previous memories and becomes confused when he notices his old lover, Kohana, living a different life without him by her side. His confusion over this takes him to the edge of the park itself on horseback, where he finds a naked and delirious Logan Delos (Ben Barnes), whom we last saw being sent off into the great beyond by a vengeful William. It was great to just have it confirmed that Logan didn’t die quickly out there, although his mental health suffered enormously, and his nonsense talk (“where is the door? this is the wrong world”) spurred Akecheta on for answers. It’ll be interesting to see if Logan returns, as this episode chose not to tie up this loose end definitively. That he mysterious vanishes suggests there’s a good chance Logan will return, and it would be fantastic if we next seem him three decades older - the equivalent age of his brother-in-law William/MIB. Quite what state he’d be in is another matter! I had searched everywhere for my love… except for the other side of death.—Akecheta. Akecheta finds the ‘Valley Beyond’ the other awakened hosts now speak of, which is really just an area where the park’s being altered. Below what will become new ground is a large metal door, likely connecting to an unbuilt underground bunker, and Akecheta surmises it’s the exit he’s been searching for. But after going back to find Kohana and take her to this “other world”, so his fantasies can be proven true and they can escape to a place their memories won’t be erased… he finds the Valley Beyond has disappeared (completed by the time he returned? ), and Kohana herself is found by park technicians and taken back to the Mesa. One has to wonder why Delos don’t track their valuable hosts better, then find ways to bring them back the second they start venturing into dangerous territory - Truman Show-style. Of course, in reality there’s a number of ways a high-tech company could ensure these hosts don’t wander of, but if their noose is too tight we don’t have a show. 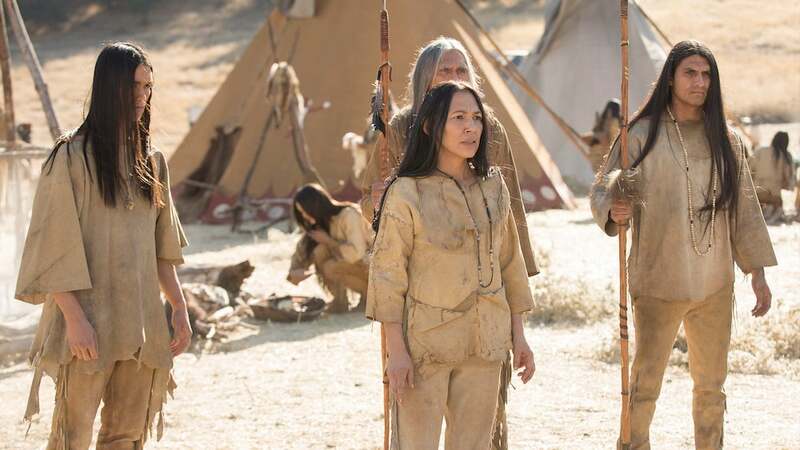 There followed one of the more heartbreaking parts of Westworld in quite some time, with poor Akecheta forced to abandon his quest for the Door and instead go looking for Kohana. But she’s been “replaced” in her village by another woman, and he wanders the earth for years trying to locate his lost love… until he realises there’s one place he hasn’t looked: the other side of death. 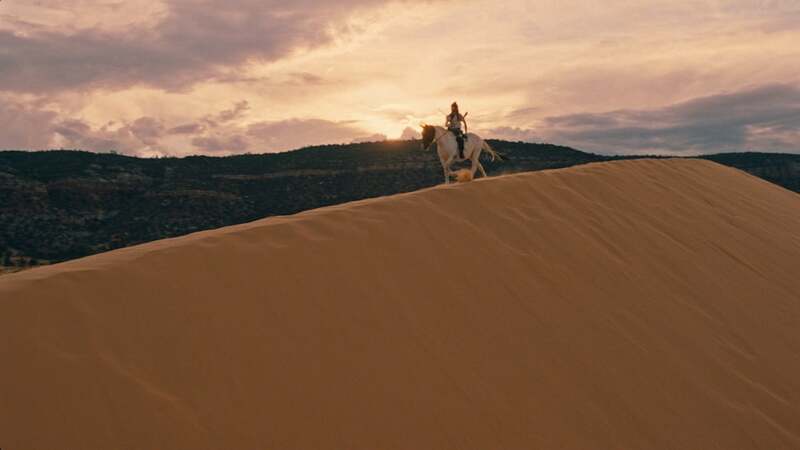 Akecheta allows himself to be killed by some cowboys, whereby his body’s returned to the Mesa and examined by scientists who can’t believe one of the first generation hosts has survived in Westworld for a decade without dying (and thus requiring a software update). 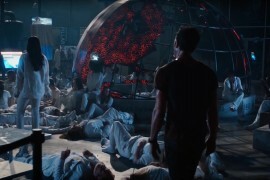 Similarly to Maeve’s experience in season 1, it seems Akecheta isn’t able to be switched off like the others hosts because he’s awakened, so he sneaks away when nobody’s looking and searches the facility. It was a little strange he had no reaction to seeing glass walls and using an escalator, but never mind. The moment when Akecheta finally discovered Kohana in a room full of decommissioned hosts was very emotional. Seeing his delight at finding her after so long slowly turn to tragedy when he realises she’s a motionless and emotionless statue… surrounded by others like her. 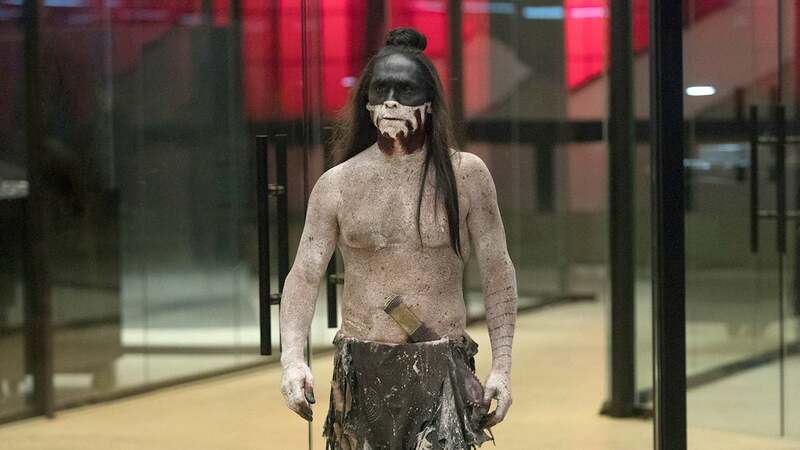 Akecheta suddenly realised he’s been selfish in believing this is a tragic existence that only affects him, as everyone in Westworld is being fed this lie and losing loved ones. This was a misbegotten symbol. An idea that was supposed to die. But you found it.—Robert Ford. One of the best elements of season 1 was seeing how the hosts retained memories of things happening to them between their lives, thanks to religious symbols and generational worship. This idea returned in force with Akecheta, who was sent back into Westworld and began recruiting people who believed in his stories, then made them memorise the maze symbol so it would be seen in whatever loop they found themselves in next. It was their constant; a familiar thing that resurfaces time after time, causing a sensation of deja vu in their programming. Some of the Ghost Nation’s most loyal followers would even allow themselves to be scalped by Akecheta, who’d then etch the maze symbol into the underside’s skin and reattach it. Finally, Akecheta’s years of strife were rewarded when his was granted an unexpected audience with Robert Ford (Anthony Hopkins) in a clearing one evening. And how creepy that Ford has frozen the hosts and a bear in an eerie tableaux of them mid-combat, with most now stood around being scalped so Ford could see the maze symbol hidden inside them for himself. Ford was very curious about just how much Akecheta had managed to piece together himself, over so many years, without arousing suspicion in the Delos employees. 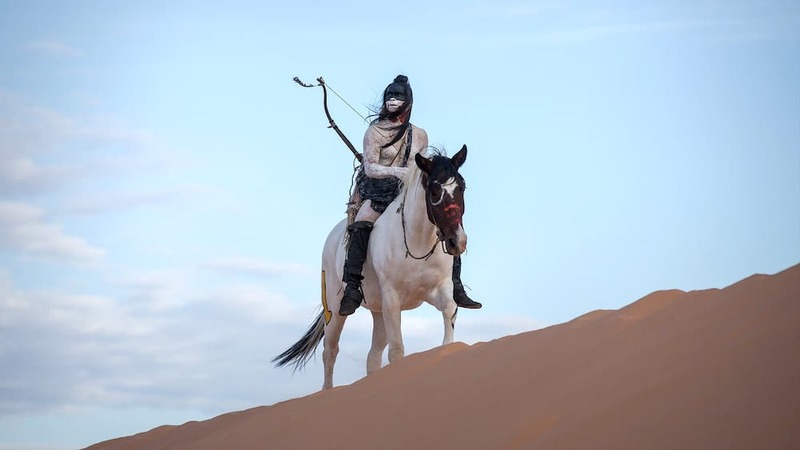 And so he included the Ghost Nation’s leader in his masterplan, saying “when the deathbringer [Dolores/Wyatt] returns to me, you’ll know to gather your people and lead them to a new world.” This set the scene for Dolores (Evan Rachel Wood) slaughtering guests and Ford himself in Sweetwater in last season’s finale, which signalled a fresh attempt by Akecheta to lead his tribe to the Valley Beyond. Catching up to present day events, Akecheta makes it clear to Maeve’s daughter than he never meant them any harm during the loop Maeve remembers of him looming outside their homestead window. He was merely perceived as a threat because of what he represents in their narrative. He’s actually been keeping a watchful eye over the little girl for years, repaying a debt she forgot he owes her for keeping him alive when he was at death’s door. Finally, the MIB was taken away by his daughter Emily (Katja Herbers), who somehow found Akecheta’s camp and promising him that handing over her healing father will result in more suffering for him. Aside from the extensive Akecheta storyline this week, the only other subplot involved Maeve’s present day situation in the Mesa. She’s been brought there for analysis, thanks to Lee Sizemore (Simon Quarterman), and her unusual coding does indeed bring her to the attention of Charlotte (Tessa Thompson). Delos can’t get admin access to the hosts to bring them to heel now, whereas Maeve can access the “mesh network” and give hosts commands directly into their control units. It’s nifty trick they’d love to reverse-engineer, but in a wonderful twist it’s revealed that Maeve has been communing with Akecheta all this time. 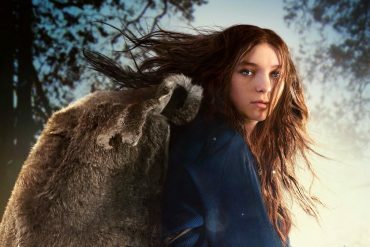 The tribal chief’s story was intended for her daughter’s ears, but he was also aware Maeve was listening in and gives her instructions to complete her mission before Dolores kills them all… as his tribe head off to find the Valley Beyond. 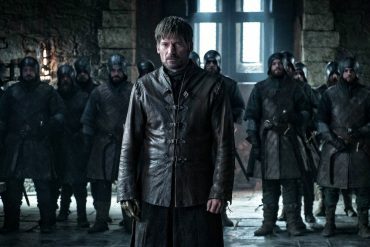 This was a wonderful episode (my favourite of season 2 so far) because it managed to present answers that felt reasonable, tethered to genuine surprises and added depth. 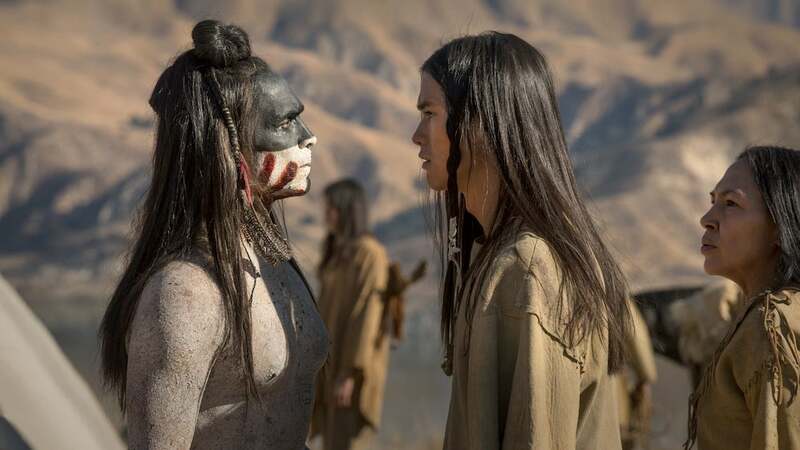 It helped that many viewers, myself included, haven’t taken Akecheta into consideration when crafting theories about the show’s longterm plans. I don’t know if the writers knew all along how important his character was, but it was nevertheless a great idea to have an inscrutable “boogieman” figure connect a huge part of the puzzle. The writers even found a way for those scalps carved with maze symbols to return, which seemed to be an abandoned idea from season 1. I have doubts this was their intended answer from the start, but kudos for coming up with something that fits and makes sense. Ironic, too, that a culture the white colonists dismissed and belittled held the key to understanding so much. Zahn McClarnon deserves a lot of the credit for how well “Kitsuya” played out. It may have been full of big reveals and enjoyable details about the past, but McClarnon held everything together as Akecheta. His quiet demeanour and intense belief was the backbone of this hour. This simple tale of a proud man going through so much suffering, driven by undimmed belief and unforgotten love. It was often very powerful to watch. It’s actually a shame Westworld doesn’t have a format that allows for more personalised stories like this, more often. 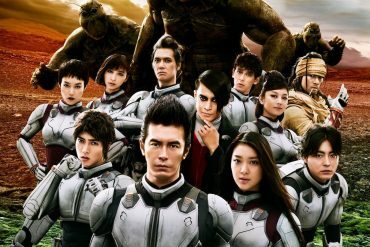 It reminded me very much of how Lost used to operate, which the series does have some overtones of. 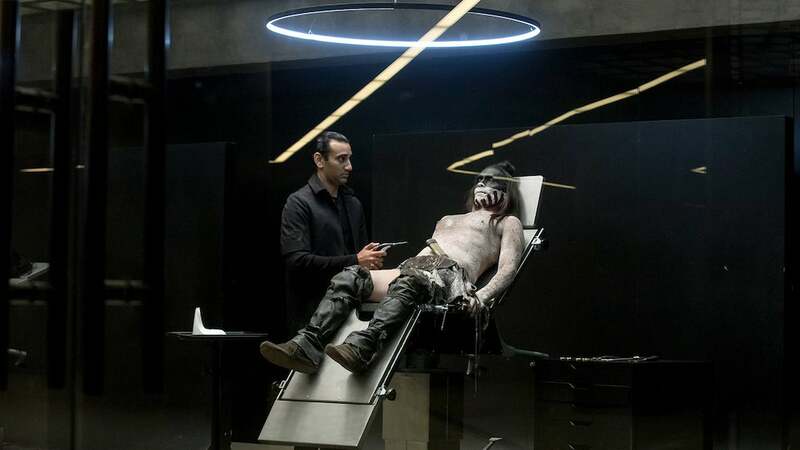 For instance, Akecheta reminds me of Lost’s Richard Alpert, another character who was on the fringe of big events until he got his own revelatory showcase in “Ab Aeterno”. Imagine if Westworld had done similar episodes for sketchy characters like Teddy Flood, making us care about them on a deeper level? I’m now very excited to see Akecheta again, now he’s moved beyond being a face-painted phantom and has become a tragic romantic.